According to a report by Money Mover, UK small businesses have a huge appetite for global expansion, expecting to grow international revenues from 40% to 66% over the next three years. Companies doing business in at least six countries could see turnover increase by 129%. However, making the most of global opportunities doesn’t come without its challenges: there are tax issues to contend with, developing new marketing strategies, making international business payments, and juggling multiple currencies. UK small businesses likes yours are being penalised for thinking globally and one area this is evident is in the international payments sphere. Banks – responsible for sending and receiving the vast majority of international payments – charge UK small businesses an estimated £4bn in hidden fees every year, profiting from offering poor exchange rates. A report by international money transfer provider TransferWise, found that while banks give the stated fee of sending £1,000 Euros as 2.56%, the actual fee including the exchange rate mark-up is 3.77%. Most of the time, the full cost of these international payments isn’t visible until you’ve made the transaction, making it difficult to compare the costs of different providers. This is due to the lack of transparency on the exchange rate provided when money is converted. A study by independent research consultancy Capital Economics, revealed that small and medium enterprises in the UK suffer disproportionately from unfair fees on international payments – losing almost 10 times more than big businesses. It equates to every small business in the UK spending an extra £755 on international payments per year. There are a number of ways in which you can look to make international business payments. For many businesses, traditional methods such as the banks or PayPal are convenient ways to process payments. 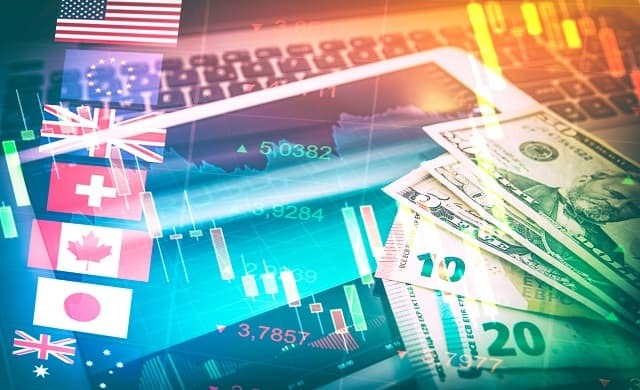 Some banking services may offer hedging or forward contracts to help you manage exchange rate fluctuations, but these can come with a premium. For more regular high volume transfers, some will consider foreign exchange brokers who search for the best fx international payment providers. They then take a commission on each transaction made or a spread (the difference between the bid price and the asking price). Whilst these methods can be convenient, they’re not always the most cost-effective method for businesses to use. The total cost charged can stack up unfavourably compared to the latest challenger services in the international payments space so it’s worth considering looking into alternative providers for significant savings. The forex market has been disrupted over the last few years by the emergence of innovative start-ups injecting transparency into the international payments process so small businesses know they’re getting the best deal. One such service is TransferWise. Co-founded by the first employee of Skype, Startups 100-featured TransferWise is on a mission to make payments cheaper and faster for businesses to move money across borders. With over three million customers moving over £2 billion each month, they enable businesses to send money in over 40 currencies, all at the mid-market exchange rate. This way users avoid hidden fees applied via inflated exchange rates typically charged by more traditional providers. The only cost users face is a small, upfront fee on the value of the transfer, making them up to eight times cheaper than banks. When compared to PayPal they save businesses up to 4% and recipients up to 7% on currency conversion fees. For example a UK business paying a €2000 invoice to a European supplier would face on average a £7.77 fee with TransferWise, whereas with PayPal they’d pay £82 in fees. To illustrate the differences, see table below that outlines the difference in fees across a number of providers when moving £2,000 into Euros via bank transfer. As can be seen, even though it may be more convenient for the busy business owner to use Nationwide or Lloyds to make their international payments, you may not be getting the best exchange rate and end up paying higher fees. Your recipient may also face charges too. Using TransferWise, you can settle international invoice payments affordably and efficiently. After signing up for a free account, you simply input the amount that needs to be sent and the source currency to see how much it will cost with a full fee breakdown. Money is also securely transferred since they are Financial Conduct Authority (FCA) regulated as an Electronic Money Institution, meaning that your funds are always kept separate to their own company funds. Hackney Brewery is one such business that has benefited from the service. Responding to the increasing interest in kegged beer a few years ago, the founders couldn’t find a suitable keg in the UK. Eventually, they found specialised kegs with durable rubber exteriors made by a German company. How safe is your money when making an international business payment? Payments using authorised UK banks are protected under the Financial Compensation Scheme; a FCA regulated body that can cover your businesses for any losses it may incur. If you’re going to use a forex broker or online transfer service, make sure it is either registered or authorised, otherwise your money will not be protected. Authorised services are the more secure option as they must keep your money separate from their accounts so it’s easy to identify and recover in the event of a crisis. Registered firms just have to be UK-based and have no prior financial convictions. In the UK, TransferWise is authorised by the FCA under the Electronic Money Regulations 2011 – as well as any of the other regulatory bodies that it has to report to globally – and was the first non-bank to be directly integrated with the bank of England. The service prides itself on bank level security that is independently tested and audited and includes two-step login and dedicated teams to monitor your profiles. New business partners might prefer the familiar protection of something like PayPal or a bank transfer but, for paying a trusted supplier of an employee, TransferWise offers security, affordability and speed. How long does an international business transfer take? Any additional verification checks that may need to take place for certain transfer volume sends. If you need to pay an international invoice by a specific date or don’t want to be late in paying your overseas workforce, it’s definitely recommended to plan your business payment in advance and not leave it to the last minute. Transfers can take a matter of minutes to up to five business days. Making international business payments in common currencies such as Euros or US dollars are often faster than more exotic currencies. Companies that specialise in international money transfers are usually able to process payments faster than traditional providers such as banks, with providers such as TransferWise able to process 80% of their from GBP to EUR transfers same day; and in 25% of the cases, instantly. The payment method you use to fund your transfer will impact speed. The time required for a bank transfer to clear compared to a card payment will differ. It’s important to consider public holidays and weekends when you place your transfer in both the sending and receiving country as this can add extra time to your transfer. It’s also worth pointing out that the transfer provider you choose will most likely have a cut-off time each business day for transfer requests. If you request a transfer after that time, the transaction won’t begin to be processed until the next business day so it’s worth finding this information out if you need a transfer to be sent urgently. While there are eye-watering costs imposed on the UK’s small businesses for international business payments due to poor exchange rates, the good news is that there are better alternatives that can save you hundreds. Savvy businesses should shop around for a better deal. Whether you’re currently using a bank or forex trader, exploring alternative methods could save you a significant amount if your business requires you to regularly send international payments or pay overseas workers. Everyone benefits, and you can put cash aside to reinvest into further international growth.